Your Central Coast Sign Professionals..... since 1989! We've been serving the central coast for over 25 years! Have you seen the beautiful new building on the corner of Broad Street and Aerovista Place? We installed an aluminum can monument sign, and some directory signage. 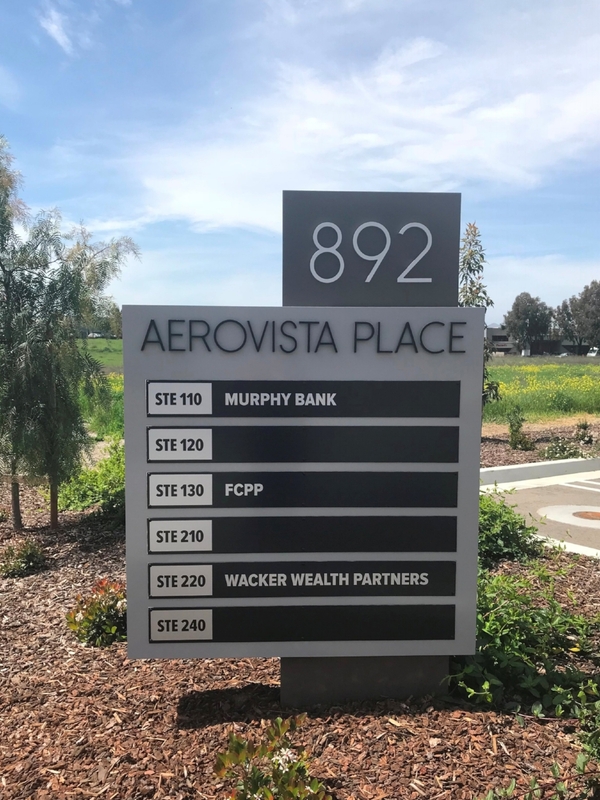 We designed each sign to match the building colors and they all have many different elements, like raised acrylic letters and individual tenant panels attached with black screws. This gives them unique, dimensional appeal and we love the fresh look! Thank you to Matt and the whole team at Quaglino Properties! Click below to see our product galleries!